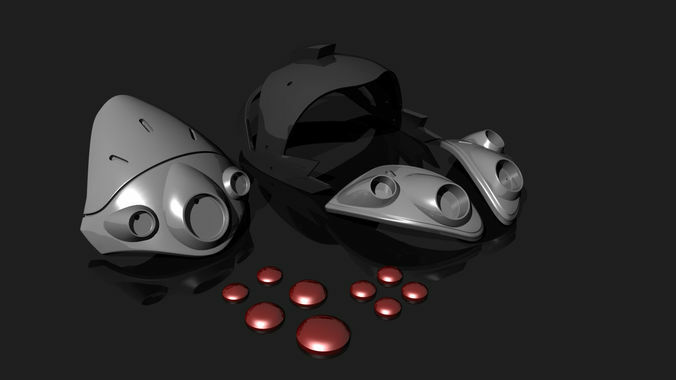 STL files for printing your own WIdowMaker Helmet. Files was created in our workshop and based on arts and game models from OverWatch. All model sized to fit medium head, but you can you probably will have to do scale by your own for your head. Lenses that inclide can be printed in trasperent plastic. Files was cheked for errors. Files was printed on Replicator 2 from Makerbot. So can easily be printed on 280mm - 150mm - 150mm But can be prtinted and on smaller beds except main part. We also offer Completed helmet with carbon, lenses & LEDs or 3D printed kit with casted lenses from epoxy. Model for PRIVATE use only! No recasting, re-modeling and sharing. All files have digital signature.